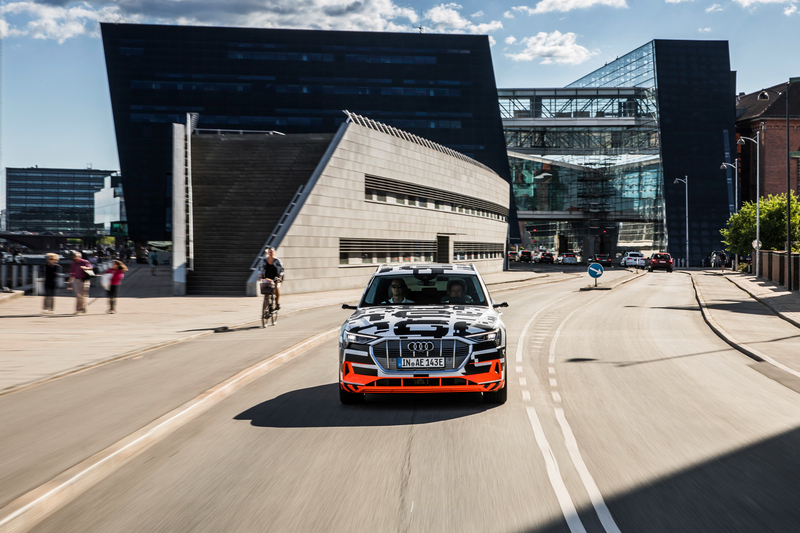 Next week, on September 17, the Audi e-tron will make its official worldwide debut. It will finally lose its sheet and show itself to the world in San Francisco, right next door to Silicon Valley, and yours truly will be in attendance. Before that official reveal date, though, Audi has decided to give us a bit of a tease, showing off the e-tron underneath a black sheet. 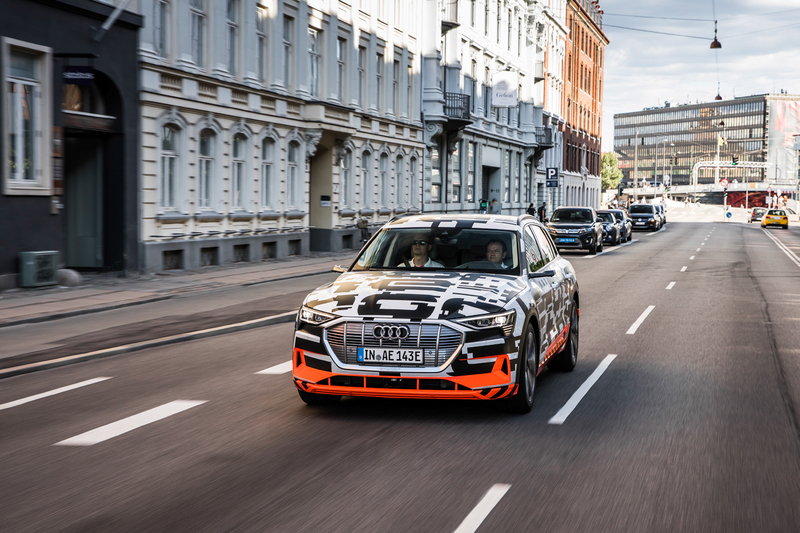 In this new photos released by Audi today, we can see the upcoming e-tron sitting underneath a sheet, awaiting its reveal. The sheet is mostly opaque but there are a few details that we can see through it. For instance, at the front, we can see its headlights and grille just a bit. Though we’ve already seen both before, as Audi hasn’t be shy about flaunting its pre-production cars, it’s still cool to see up close. Plus, this isn’t a pre-pro car. Everything you see here is part of the final product. The headlights look good; angular and sporty. Admittedly, the four horizontal lines toward the outside of the headlights look a bit like WiFi bars. That’s a bit odd but I guess actually sort of fitting with such a high-tech car… As usual, the grille is a massive Singleframe unit that seems ready to inhale human pedestrians as they walk in front. It’s also hexagonal, rather than the octagonal grille of the Audi Q8. 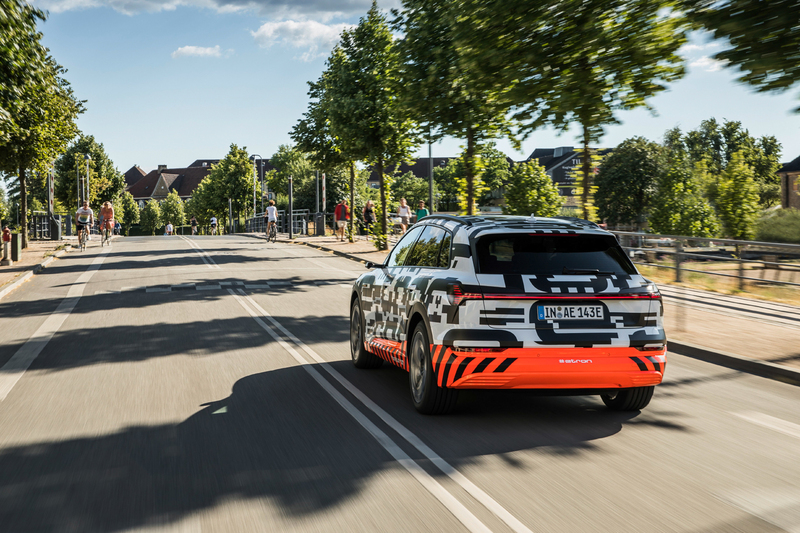 This Audi e-tron is going to be one of the most important cars to come from Ingolstadt in a very long time. 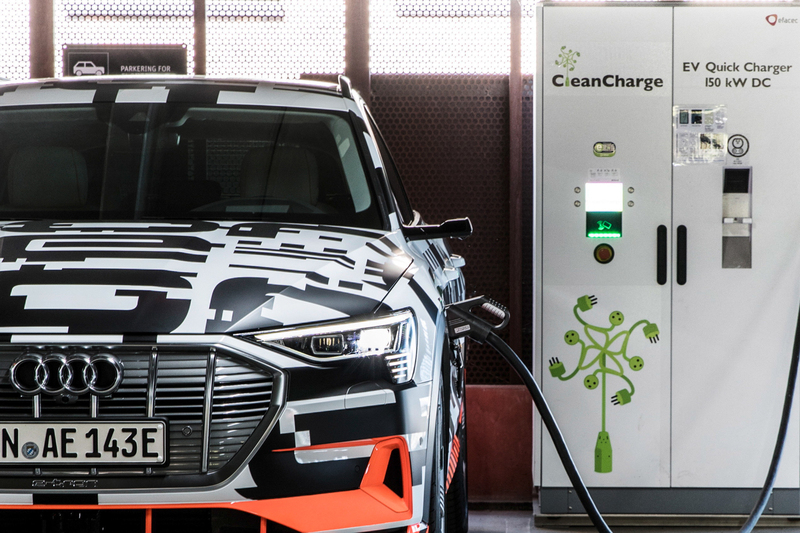 Not only is it the brand’s first-ever fully-electric car but it’s the first real e-tron. That slop-job A3 e-tron doesn’t count. So there’s a lot hanging on this car, as it not only represents a new direction for Audi but it’s own branding as well. 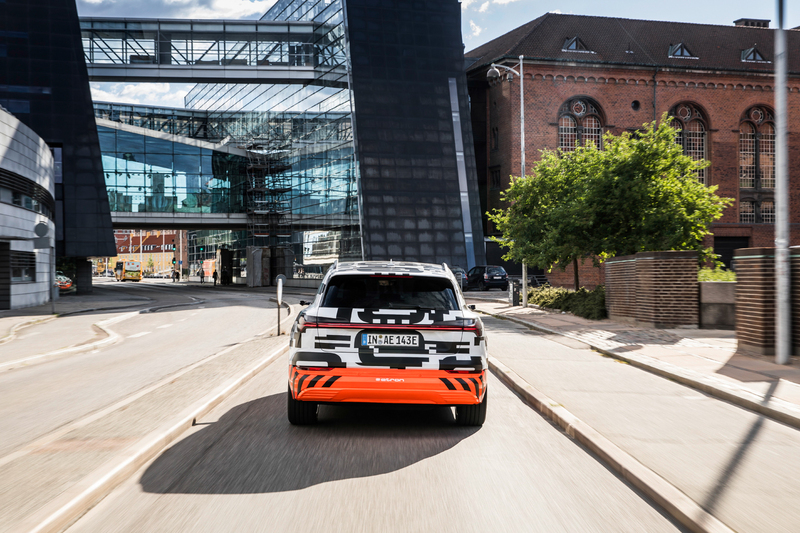 Future e-tron models’ success ride on this very car.